Several restaurants, retailers and attractions will be offering freebies, deals and sweepstakes for moms on or around Mother’s Day on Sunday, May 10. 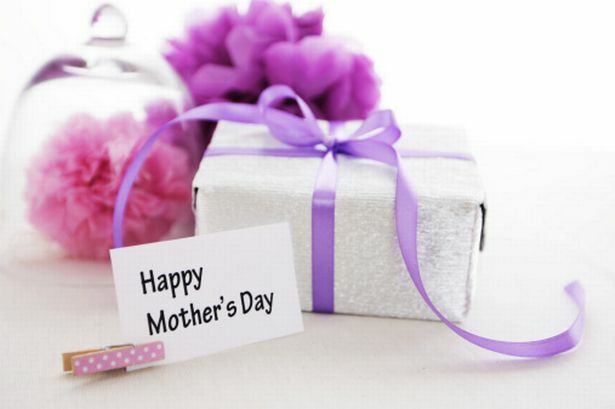 The modern American holiday of Mother’s Day was first celebrated in 1908, when Anna Jarvis held a memorial for her mother at St Andrew’s Methodist Church in Grafton, West Virginia, which now holds the International Mother’s Day Shrine. In 1912, Anna Jarvis trademarked the phrases “second Sunday in May” and “Mother’s Day”, and created the Mother’s Day International Association. Arooga’s Grille House & Sports Bar is treating moms to a free meal (up to a $15 value) on Mother’s Day with a purchase of equal or greater value. Arooga’s has nine locations in central Pennsylvania. Beef ‘O’ Brady’s is giving moms a free meal on Mother’s Day with a purchase of equal or greater value. The chain of sports pubs has more than 200 locations in 23 states. McCormick & Schmick’s is giving moms a complimentary chocolate-covered strawberry with brunch on Mother’s Day. The restaurant chain operates in 24 states. Museums and gardens. Admission to many public gardens across the country is free on National Public Gardens Day May 8 — and through Mother’s Day weekend. For example, The Fells Historic Estate and Gardens in Newbury, N.H., is offering free admission to all May 8-10. Search for gardens near you to see if any have special offers for Mother’s Day. Princess Cruises has a Mother’s Day sale on fares for cruises to the Caribbean, Mexico, Canada, New England, the Panama Canal, Hawaii and California. Plus, it’s offering up to $200 worth of free onboard spending money. The sale runs through May 14. Shoney’s is giving moms a free slice of strawberry pie on Mother’s Day with the purchase of a buffet or entree. Shoney’s has 160 locations in 16 states. Spaghetti Warehouse is offering a free appetizer for registering for its Mother’s Day photo album. You can upload a photo of your mom and tell why she’s special for a chance to win a $100 Spaghetti Warehouse gift card. The restaurant chain also is offering moms who dine at one of its locations in seven states on May 10 a free strawberry lemonade and one of five gifts: a free “Make it a Feast” entrée, a buy-one-get-one free spaghetti or lasagne, a free brownie sundae, a free spaghetti or lasagne entrée, or a $25 Spaghetti Warehouse gift card, says Kathy Wan, director of marketing for Spaghetti Warehouse Restaurants Inc.